The expanding problem of harmful algal bloom outbreaks has caused the need for new research and advancements in predicting and controlling outbreaks. Studies show that harmful algal blooms have been increasing in frequency of outbreaks worldwide over the last few decades, as well as in spatial distribution of individual outbreaks. As a result, the effects that harmful algal blooms create have become more problematic. These problems include human illness resulting from ingesting contaminated seafood, as well as an offset of the aquatic ecosystem, which can result in mass fatalities of fish and other products of the aquacultural industry. Recent studies provide a sense of what can trigger algal bloom outbreaks to create prediction methods, and potential models of control to limit the growing problem. Further research is necessary to assure the effectiveness of these methods and models. There has been an increasing vigilance from the expanding problem of harmful algal bloom outbreaks worldwide. Although algal blooms are a natural phenomenon, the increase in frequency of outbreaks, spatial distribution of outbreaks, and occurrence of harmful species rather than benign species reveals an arising problem. Commonly referred to as “red tide,” “green tide,” “brown tide,” etc., these blooms result from an overgrowth and buildup of algae. Depending on how severe the buildup is, the algae often produce a film on the surface of the water, commonly referred to as “scum.” The causative species are types of single-celled algae including dinoflagellates and phytoplanktonic diatoms. (1) Despite the terminology, some harmful algal blooms are cyanobacterial rather than algal. The increase in number and severity of outbreaks are becoming a danger to public health due to the various illnesses that result. (2) (ADD GRATTAN CITATION) In addition to public health, harmful algal blooms are also becoming a danger to coastal ecosystems and the aquaculture industry. (2) However, there have been numerous studies that investigate ways to ameliorate the problem. As a result, there have been various methods and models proposed that could aid in predicting and identifying outbreaks and determining severity. In turn, these methods and models would help in keeping this danger to a minimum. The frequency of harmful algal bloom outbreaks has increased over the years. One study focused specifically on outbreaks in the Bohai Sea near China between 1952 and 2014. (3) The data were gathered from different records throughout the years from state and city reports, and then compiled into charts and figures. The figures were maps of the sea with a dot on the area where an outbreak was reported to show spatial distribution of outbreaks. These maps were made using geographic information systems (GIS). (3) The data in the tables showed a variable, but drastic increase since the early 2000’s. (3) Only two outbreaks existed in the earliest reports, but that could be a result of the lack of technology and methods for detecting algal bloom outbreaks. New advancements have been made in detecting outbreaks. One recent study introduced the benefits of using MODIS (MODerate Resolution Imaging Spectroradiometer) measurements when determining the spatial characteristics and severity of harmful algal bloom outbreaks. (4) This method, used in case studies during a Red Tide outbreak in the Persian Gulf in October of 2008, obtained measurements from satellite images. (4) This method is much more efficient than earlier methods since it utilizes satellite images. Blooms are identified by spectral changes in the water of areas under surveillance on the Terra and Aqua satellites. MODis sensors have been on Terra since 1999, and on Aqua since 2002. (4) This method could explain the reason the outbreaks in the Bohai Sea study drastically increased after 2000, but it is not stated which detection methods were used in the original reports. Algal blooms are deemed to be harmful when they produce either of these two results: contamination of seafood, or an offsetting effect to the marine ecosystem. (5) Seafood contamination results from toxin-producing algae, and offset ecosystems result from high-biomass-producing algae. (5) Both harmful and benign algal species were identified in the outbreaks in the Bohai sea study. (3) The second most recorded species was Prorocentrum Dentatum, which is the cause of one of the five most common algal bloom-related illnesses. (1, 3) This species belongs to a family of dinoflagellates that produces the okadaic acid toxin that contaminates the surrounding shellfish and, when ingested through consumption of contaminated shellfish, diarrhetic shellfish poisoning can occur. (1) The other most common algal bloom-related illnesses are amnesic shellfish poisoning, ciguatera fish poisoning, neurotoxic shellfish poisoning, and paralytic shellfish poisoning. (1, 5) Table 1 describes the most common species responsible for harmful algal blooms, the dangers they cause, and where they have been found. There are a number of advancements in research on harmful algal blooms that offer potential control and prediction methods. The Lake Taihu study determined thresholds for deciding whether or not certain conditions are harmful to water filtration plants or not, and therefore to know whether or not to temporarily shut down plants to avoid disasters such as that of the Wuxi Water Crisis. (7) Another study proved the use of the fungi Phanerochaete chrysosporium as a successful inhibitor of harmful algal blooms. (11) The fungi caused cell death of the algal cells through destruction of the cell membrane and nucleic acids. (11) Due to the fickle conditions of the area in the Alfacs Bay study, legislation was passed in 1987 that requires weekly sampling of algae levels to ensure safety for food production. (6) Such testing should be done in other areas prone to harmful outbreaks. More than 20 years worth of data from the Alfacs Bay study allowed scientists to develop forecast models to predict when harmful blooms will occur. One of these models included an Artificial Neural Network (ANN). (6) An ANN is a figure/table that shows the relationship between one subject (harmful algae) and multiple factors (temperature, salinity, oxygen levels, etc.). The key to developing ANNs is large data samples. (6) Complex time series and large data sets allow for an algorithm to be developed that can reliably predict outbreaks from certain input factors (temperature, salinity, oxygen levels, etc.). (6) Other studies provided helpful research on certain weather conditions that could predict harmful algal bloom outbreaks. Although it would be difficult to execute, if a downscaled global climate prediction model was developed, a valuable prediction model for harmful algal blooms could also be developed. (8) By being able to predict the rate of temperature changes, prediction of bloom outbreaks would be feasible. The arising problem of harmful algal bloom outbreaks is apparent through the increase of frequency of outbreaks, the increase in spatial distribution of outbreaks, and the occurrence of harmful species rather than benign species of algae. Due to the recently acquired knowledge of factors that increase the occurrence of outbreaks, potential methods of prediction and control have been proposed. The fungi-control method has been proven to have potential, as well as the prediction model that utilizes weather forecast, given that a downscaled model of global climate forecast is feasible. Further studies and presumed advancements on these potential methods will assure the effectiveness of such methods. Grattan LM, Holobaugh S, Morris Jr JG. Harmful algal blooms and public health. Harmful Algae. 2016;57, Part B:2-8. Faust M, A.; Gulledge, R, A. Identifying harmful marine finoflagellates2002; 42:[1-144 pp.]. Song N-q, Wang N, Lu Y, Zhang J-r. Temporal and spatial characteristics of harmful algal blooms in the Bohai Sea during 1952–2014. Continental Shelf Research. 2016;122:77-84. Ghanea M, Moradi M, Kabiri K. A novel method for characterizing harmful algal blooms in the Persian Gulf using MODIS measurements. Advances in Space Research. 2016;58(7):1348-61.
. 14th International Conference on Harmful Algae; 2010; Hersonissos-Crete, Greece: International Society for the Study of Harmful Algae and Intergovernmental Oceanographic Commission of UNESCO 2013. Guallar C, Delgado M, Diogène J, Fernández-Tejedor M. Artificial neural network approach to population dynamics of harmful algal blooms in Alfacs Bay (NW Mediterranean): Case studies of Karlodinium and Pseudo-nitzschia. Ecological Modelling. 2016;338:37-50. Zhang Y, Shi K, Liu J, Deng J, Qin B, Zhu G, et al. Meteorological and hydrological conditions driving the formation and disappearance of black blooms, an ecological disaster phenomena of eutrophication and algal blooms. Science of The Total Environment. 2016;569–570:1517-29. Wells ML, Trainer VL, Smayda TJ, Karlson BSO, Trick CG, Kudela RM, et al. Harmful algal blooms and climate change: Learning from the past and present to forecast the future. Harmful Algae. 2015;49:68-93. Kang Y, Koch F, Gobler CJ. The interactive roles of nutrient loading and zooplankton grazing in facilitating the expansion of harmful algal blooms caused by the pelagophyte, Aureoumbra lagunensis, to the Indian River Lagoon, FL, USA. Harmful Algae. 2015;49:162-73. Gobler CJ, Koch F, Kang Y, Berry DL, Tang YZ, Lasi M, et al. Expansion of harmful brown tides caused by the pelagophyte, Aureoumbra lagunensis DeYoe et Stockwell, to the US east coast. Harmful Algae. 2013;27:29-41. Zeng G, Wang P, Wang Y. Algicidal efficiency and mechanism of Phanerochaete chrysosporium against harmful algal bloom species. Algal Research. 2015;12:182-90. Usup G, Ahmad A, Matsuoka K, Lim PT, Leaw CP. Biology, ecology and bloom dynamics of the toxic marine dinoflagellate Pyrodinium bahamense. Harmful Algae. 2012;14:301-12. Horner RA, Garrison DL, Plumley FG. 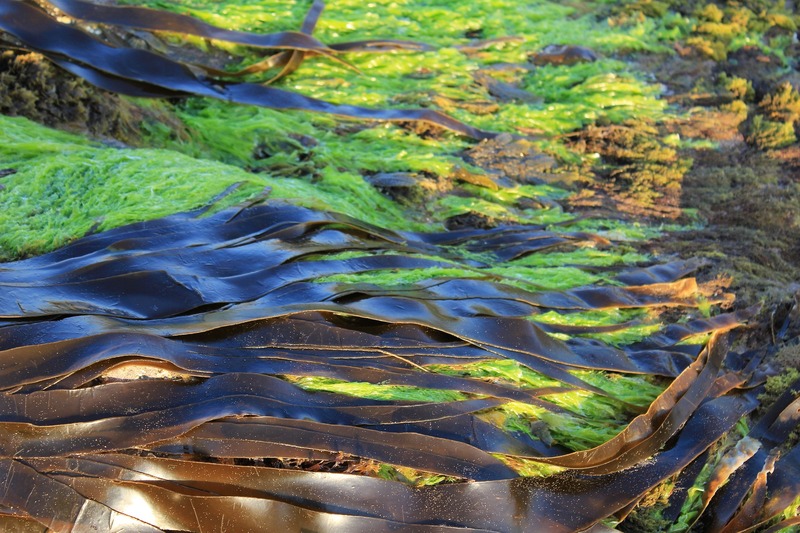 Harmful Algal Blooms and Red Tide Problems on the U.S. West Coast. Limnology and Oceanography. 1997;42(5):1076-88. Hallegraeff GM, Lucas IAN. The marine dinoflagellate genus Dinophysis (Dinophyceae): photosynthetic, neritic and non-photosynthetic, oceanic species. Phycologia. 1988;27(1):25-42. Hallfors G, editor Checklist of Baltic Sea Phytoplankton Species2004: Helsinki Commission and Baltic Marine Environment Protection Commission. Hulburt EM. The Taxonomy of Unarmored Dinophyceae of Shallow Embayments on Cape Cod, Massachusetts. 1957:196. Bergesch M, Odebrecht C, Moestrup Ø. Nanoflagellates from coastal waters of southern Brazil (32°S). Botanica Marina. 2008;51(1):35-50. Menezes M, de Mattos Bicudo CE. Freshwater Raphidophyceae from the State of Rio de Janeiro, Southeast Brazil. Biota Neotropica. 2010;10(3):323-31. Place AR, Bowers HA, Bachvaroff TR, Adolf JE, Deeds JR, Sheng J. Karlodinium veneficum—The little dinoflagellate with a big bite. Harmful Algae. 2012;14:179-95. Sun MM, Jing H, Liu H, Sun J, Qiu JW. Characterization of the proteomic profiles of the brown tide alga Aureoumbra lagunensis under phosphate- and nitrogen-limiting conditions and of its phosphate limitation-specific protein with alkaline phosphatase activity. Applied and Environmental Microbiology. 2012;78(6):2025-33.